Do you suspect that someone you know is a victim of domestic abuse? 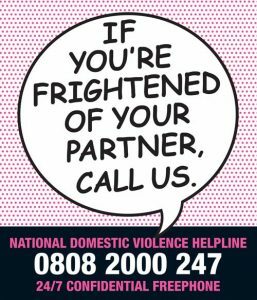 Advice can be sought 24 hours a day on the National Domestic Violence Helpline 0800 2000 247 (freephone). You can also call Bromley Women’s Aid Monday to Friday between 9am and 4.30pm or email info@bromleywa.org.uk.